The Site (owned, operated and exclusively representing the products, services and interests of Axis Vero Incorporated) does not provide legal or professional advice. Any information contained in this site is gained from and based on personal and professional experience from our many years of competent investigation and is subject to change without notice depending on the jurisdiction, conditions and laws relating to each specific matter. If you think you require legal advice, you should retain competent legal counsel to advise you. While we may provide links or references to lawyers or legal firms, we do not warrant or endorse any specific lawyer or service they may provide to you and encourage you to research the options available to you for your matter.  If you have questions regarding finding lawyers to act on your behalf, please do not hesitate to contact the respective law firm of your choice directly to inquire about their legal teams or specific products or services. The contents and links on this Site are posted for general informational purposes only. The articles, biographical information, news postings, blogs, links and other information published on the Site are current solely as of their date of publication and may not address changes to the law or facts applicable to your circumstances, and therefore, you agree not to rely on them as legal advice. The contents and links posted on the Site do not necessarily represent the opinions of Axis Geffen or Axis Vero Incorporated and should not be taken as specific legal advice. It is your sole responsibility as a consumer, as a visitor to this site and as a person seeking assistance to ensure that you have performed your due diligence in researching and vetting any security, investigation or legal firm prior to assigning them work and as such it is your responsibility to fully disclose all details, concerns and legal entanglements with said company prior to commencement of work on your behalf. All quotes are subject to change based on any information that is withheld at the time(s) of quoting. Axis Vero Incorporated operates and controls this website from its offices in Canada. Axis Vero Incorporated makes no representation that the materials contained on this website are available or are appropriate for use in any other country. While some services may be appropriate and/or available in one country there is no guarantee or promise that the same service will be appropriate and/or available in another country. Access to this website from any country is done so at the users risk and such user(s) are responsible for proper compliance with both the laws of Canada and the laws of the jurisdiction from which they access this website. Access from those jurisdictions where the contents of this site are illegal is prohibited and not recommended. The information and material on this website is subject to change without notice. While Axis Vero Incorporated will make every effort to maintain the correctness of the information on this website, due to the nature of websites, and the possibility of errors occurring either in hardware or software or in the transmission and reception of digital information, Axis Vero Incorporated does not and cannot warrant the accuracy of the information contained on this website. ALL INFORMATION AND MATERIAL ON THIS WEBSITE IS POSTED WITHOUT ANY WARRANTIES, EXPRESS OR IMPLIED. AXIS VERO INCORPORATED DISCLAIMS ALL WARRANTIES, INCLUDING THE IMPLIED WARRANTY OF MERCHANTABILITY AND FITNESS FOR A PARTICULAR PURPOSE. AXIS VERO INCORPORATED CANNOT AND DOES NOT WARRANT THAT THE OPERATION OF THIS WEBSITE WILL BE WITHOUT ERRORS OR OMISSIONS OR THAT SERVICE WILL BE UNINTERRUPTED OR THAT THE WEBSITE IS/WILL BE VIRUS-FREE. AXIS VERO INCORPORATED DOES NOT REPRESENT OR WARRANT THE USE OF THE INFORMATION ON THIS WEBSITE IN TERMS OF CORRECTNESS, USEFULNESS, ACCURACY, TIMELINESS, OR OTHERWISE. THIS WEBSITE MAY INCLUDE INACCURACIES OR TYPOGRAPHICAL ERRORS. This website is intended solely for the use of Axis Vero Incorporated and its existing and/or potential customers. Access is restricted to legitimate business purposes only. Any unauthorized attempt to access or access of any other area of Axis Vero Incorporated’s computer system and any information contained on such systems(s) is strictly prohibited and may result in criminal and civil liability. The trademarks and trade names that are displayed on this site are the trademarks and trade names of Axis Vero Incorporated and others. The display of such trademarks and trade names does not constitute a license, waiver or permission to use such trademarks or trade names without the prior written consent of the owner. Axis Vero Incorporated does and will enforce its intellectual property rights. 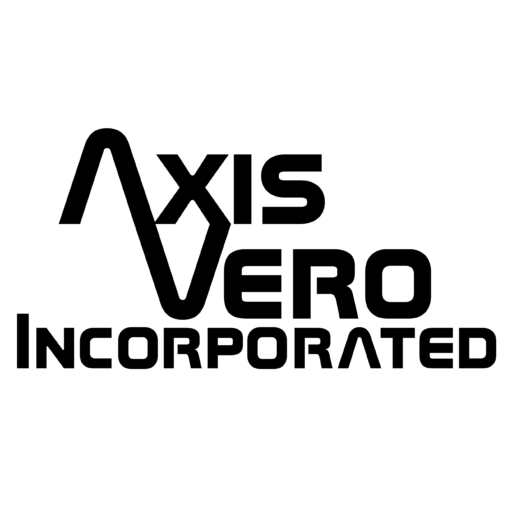 Any improper or unauthorized use of the name “Axis Vero Incorporated” or the company logo(s) for any reason, including advertising or publicity, without the prior written and signed consent of the president of Axis Vero Incorporated is strictly prohibited. Axis Vero Incorporated also requires that any use of its name or logo as a “Hot” link or hypertext link on another website must be previously approved by the president of Axis Vero Incorporated. Links to other websites not owned, operated or controlled by Axis Vero Incorporated may be contained on this website. Axis Vero Incorporated expressly states that it is not responsible for, nor has input or control over, the content and accessibility of such websites. Websites of other companies, suppliers and organizations linked to this website are made available to users as a convenience only and as a reference for information and their inclusion herein does not imply that Axis Vero Incorporated recommends, endorses, sponsors or supports such other websites and/or the products and materials available through them. Written or recorded verbal permission has been obtained by Axis Vero Incorporated to include each linked website listed on this website. Websites without links have either not responded to such requests, or are past third (3rd) party customers (as mentioned in various places throughout this website, we have in past and do continue to conduct a number of investigations on behalf of other security and investigation agencies from around the world and unless specifically stated do not always have a written, formal, implied or expected clause for the privacy of their customers. (One more reason it’s smarter to deal with us directly)). In the event that any linked or unlinked website owner wishes to have their link or logo removed from this site, they will be accommodated within a reasonable time frame once they have advised Axis Vero Incorporated via the “contact us” form located on this site and the request has been verified. At no time, in or on this website is it ever implied or stated that Axis Vero Incorporated has worked on behalf of another party unless Axis Vero Incorporated has in fact conducted that work. We realize that the clients of our clients may from time to time become confused in that they were not previously aware that Axis Vero Incorporated had conducted their work and for that we are sorry but in truth Axis Vero Incorporated has conducted thousands of investigations on behalf of its clients over a large number of years – its original sole proprietorship format and as a direct contractor of its clients. At all times the “middle man” company has been aware of our involvement. We accept no liability or responsibility for any lost trust, lost business, lack of faith, poor conduct, failure to disclose, breach of contract, failure to maintain confidentiality or privacy, or any other inappropriate behaviour caused by our security or investigation customers with their clients. On occasion, it is understood that the end client may not have been happy with the end result or end service of the service they ordered and we are sorry that we could not help you with your matter directly; however, by hiring the company that you did, you received the management team that they chose to provide. While we conducted the investigation(s), the company that hired us made all of the decisions including those we have advised against. Further to this we cannot and will not be held responsible for bad decisions made by other parties or for decisions made without full access or disclosure to the facts of the assignment. Again, we recommend that you try hiring us directly for the optimum and most cost effective result. Copyright © 2017 Axis Vero Incorporated. Except as provided for and permitted by the Terms of Access, all rights are reserved. Axis Vero Incorporated either owns the intellectual property rights in the HTML and Java scripts, text, hypertext, audio and video clips, images and other material that is present on this web site, or has obtained the permission of the client relating to the intellectual property of such content for the use of such material on this website. Axis Vero Incorporated uses the information it collects from you in order to properly process the transactions conducted on this site. This information will include account, payment, shipping and order data. Our web server also collects general data such as your IP address, your domain name, the time spent on our site and the pages you access. This information is collected in order to assist us with the maintenance, improvement, administration and security of our site. “Cookies” may also be placed on your hard disk when you visit the Axis Vero Incorporated website and/or transact business on it. Your browser software can be set to notify you when such cookies are being sent. Cookies assist us with record-keeping and the tailoring of the site to user preferences. Axis Vero Incorporated considers both transactional and general information to be extremely important and places a high priority on the protection of such information. Although Axis Vero Incorporated cannot guarantee that all information is completely secure, Axis Vero Incorporated will make every effort to protect customer information from third party unauthorized access, use or alteration. Axis Vero Incorporated makes no representations or warranties with respect to the availability of the products described and/or listed on this website. Availability is subject to change at any time.  If you have any questions with respect to this website, the Terms of Access, or about Axis Vero Incorporated, please e-mail us at info@axisvero.com or “contact us” through this website.